5 miles on the schedule.....a nice, warm, windy, dry morning. A few days ago, Scott from Racer Wall Frames sent me three racer frames for review. Yes, three! How generous! If you received your recent Runner's World, you'll see that he advertised his product in the most recent issue. I reviewed their website and thought this was a great idea. 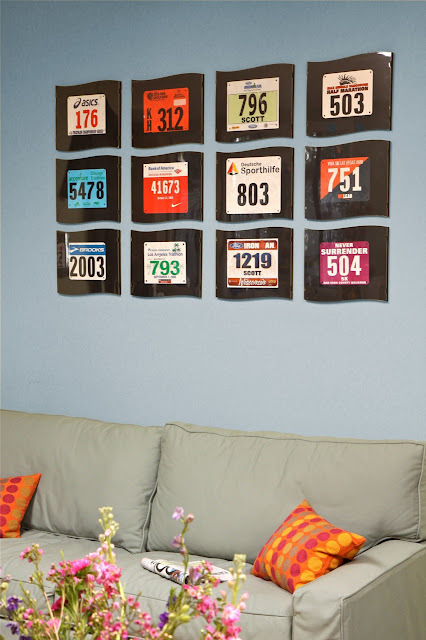 Basically, Racer Wall Frames are used to display your race bibs and/or photos. I love to display my race medals and I've also kept all my race bibs since I started racing so this is a great product to really give some class to your bib collection. 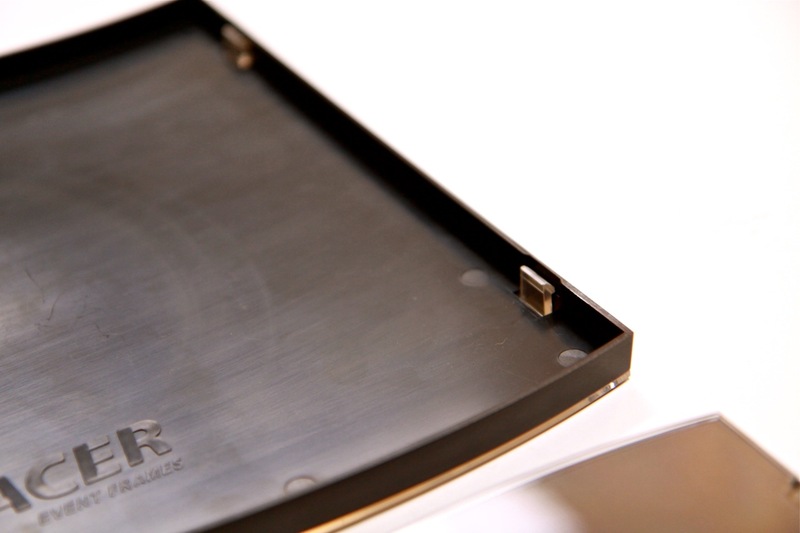 You can see just when you start to open up the packaging that Racer Frames takes great care in making sure the product is shipped to you in top condition. First, it was delivered in this great bag. The product was bubble wrapped and also covered with material so there were no scratches when I received it. In addition, there is cellophane over the plastic cover to keep it from being scratched up. This picture gives you an idea what you can do with this. The possibilities are endless! There was also very clear directions how to put in your race bib and put the frame back together again. The first step in the process is to get the clear plastic cover off the black back. All you do is simply pull up in the middle of the frame near the top and bottom and the locks on the sides will pop off. You can see the two parts below. I still have not taken off the plastic cellophane. Here's a close up of the back of the unit. You can see where the four tabs are that hold together the frame. In addition, you can see where the nail will go so you can hang it. 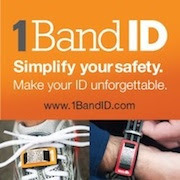 This will be covered by your race bib/photo so not to worry. The company allows for hanging in either direction. I think that's great considering sometimes bibs can be quite large or if you wanted to hang an 8 x 10 photo vertically or horizontally. Once you get the two parts separated, you can line up your race bib any way that you want. 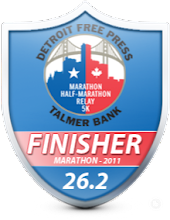 I could have included a photo in there as well but you can see here that I've added my race bib from the Detroit Marathon - my PR marathon. Just stick a small piece of tape on the back of the bib to keep it from moving around in the frame. After you have your bib the way you want it, you can then take the clear plastic cellphane off the cover and attach the clear plastic cover back on the frame. See below. It took a whole 3 minutes to do all of this. Doesn't it look awesome! Next I needed to hang it on the wall. Just find a place where you would like it and put a small nail up and that's it! It literally took me five minutes to do everything from start to finish. Here's a couple pictures of the finished product hanging in my office wall with my medals. I placed the second one also above my other medals. This race bib is the very first 5k I ever raced almost three years ago. Obviously it has a great sentimental value given it changed my lifestyle for the better. Display all your bibs in your trophy room! Can't say that I found any. Overall, this is a simple and nice way to hang your race memories at a very inexpensive price. If you are like me and collect your bibs, what better way to show them off than with a Racer Frame? Interested in learning more? How would you like to win one too? The company was very generous in sending me three frames so I've decided to give one of these away to one of my lucky readers. I can't wait to give this to someone so you can display a race bib you are proud of. Five chances to win! Good luck! Contest will end on Thursday, 9/25 at 8pm. * Note - I received 3 complimentary Racer Wall Frames in exchange for this review. All opinions on this blog post are my own and I was not paid or required to give a particular opinion on the product. Very cool looking, I especially like the multitude mounted on the wall. Love that they have a money back guarantee! Liked their FB page and left a comment! Wow that is a cool idea...if I won I would sign up to a race so I had a bib to display! I have been looking for something to display my sons first 5k bib and this will work great. 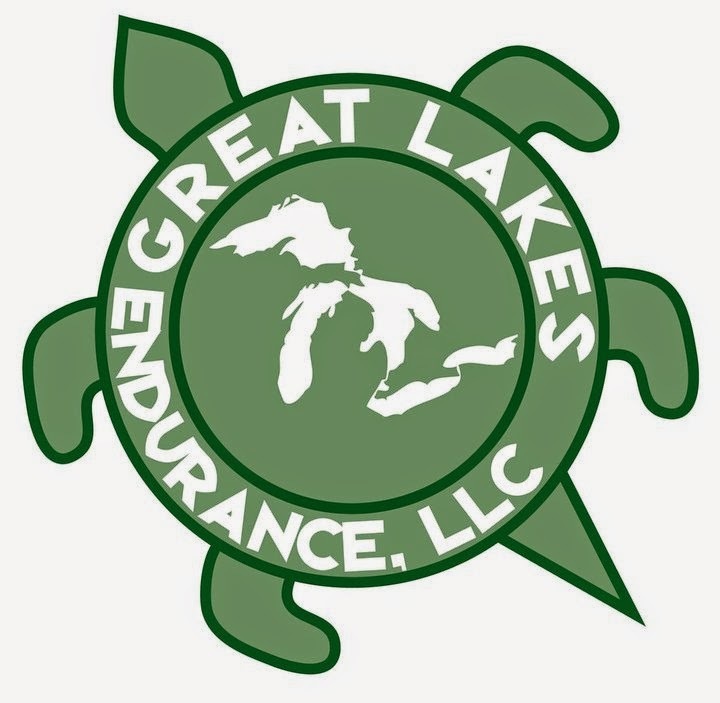 Honestly it looks like a great frame and I would love one for my very first half marathon in February I am training for...I really like the price.